In the United States, women are 51% of the population - shouldn’t they hold 51% of the power? 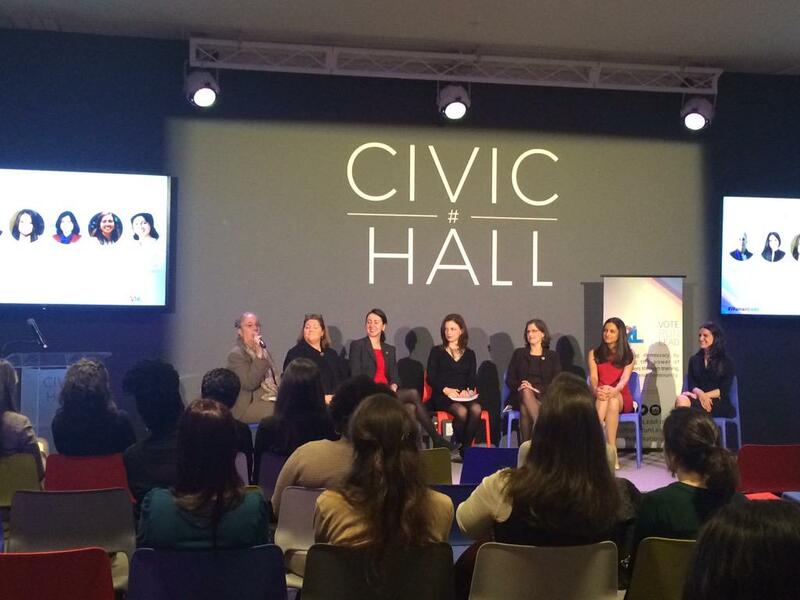 At Veracity, we think electing women to public office is more than an issue of equality. Electing women is about the diversity of ideas and experience that make up a strong and responsive representative government. 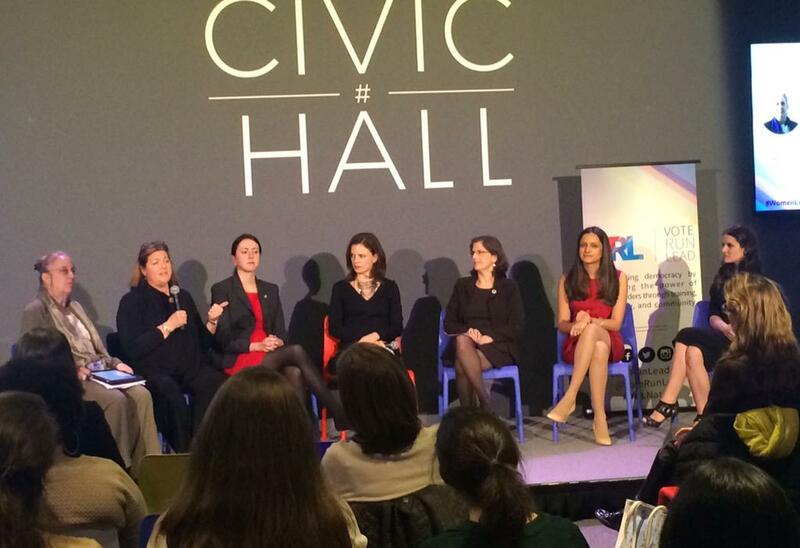 Too often, unfortunately, women don't see themselves running for office. We believe in our responsibility, and ability to inspire a new generation of leadership, and use our digital-first strategy to help aspiring leaders navigate their own path to leadership. We have helped strong women tell their stories and change the narrative of the public sphere, from Sandra Fluke, to Zephyr Teachout to Malala Yousafzai. That's why we've partnered with organizations like Vote Run Lead and She Should Run to host events and trainings with notable women to begin building the new bench of talent from the ground up. 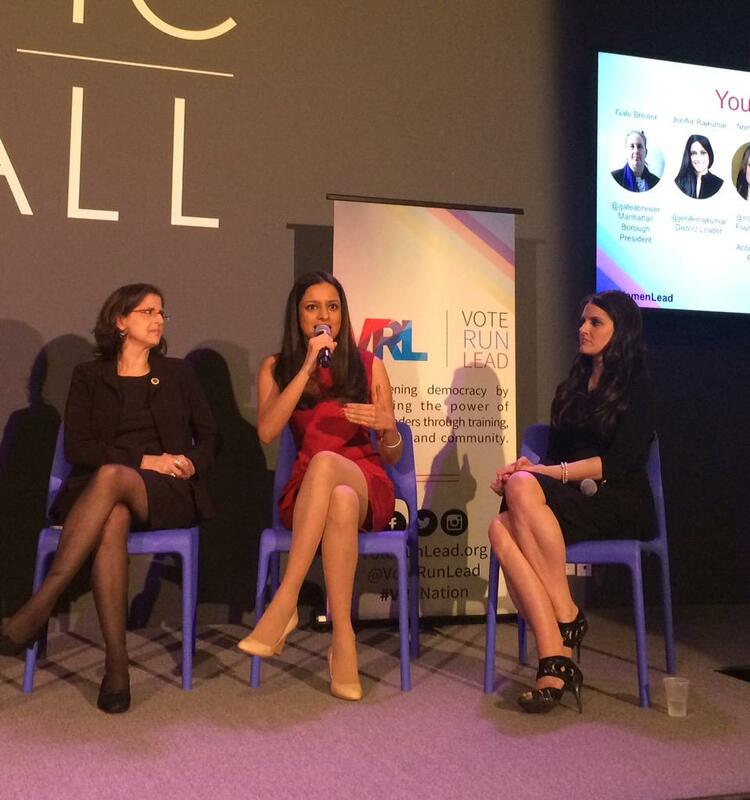 On Thursday March 26th, we teamed up with Vote Run Lead and the co-working space founded by the Personal Democracy Forum team, Civic Hall, to bring together women who have run for office, are in office, are leaders of the political arena, or aspire to be so. It was an action-packed, informative, and motivating evening of networking and accelerating participants on their road to political leadership. And it turns out, promoting gender equality in our political discourse pulls in quite the crowd (as it should)! 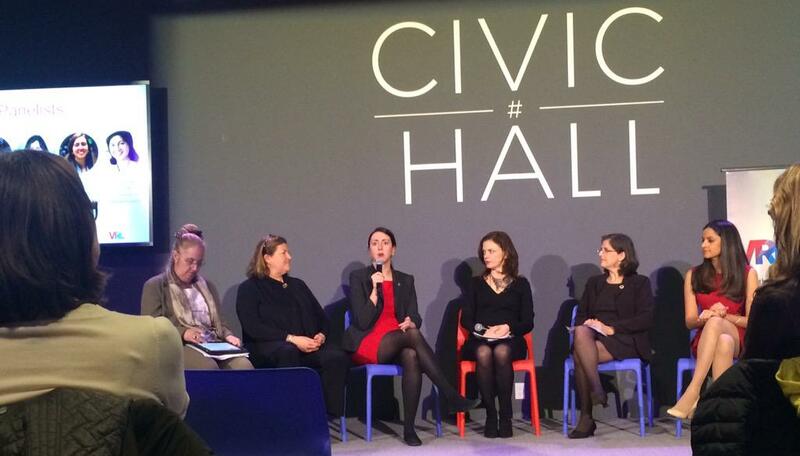 We were joined by Former Governor of Massachusetts Jane Swift (@janemswift), New York State Assemblywoman Nily Rozic (@nily), New York City Councilwoman Helen Rosenthal (@HelenRosenthal), Founder & President of The Accountability Project, political pundit and former Congressional candidate in Arizona Nomiki Konst (@NomikiKonst), Lower East Side District Leader Jenifer Rajkumar (@JeniferRajkumar), and Manhattan Borough President Gale Brewer (@galeabrewer). Valuable lessons were learned from the exceptional speakers’ first hand stories. All too often, women simply don't see themselves running for office, but our panelists were certainly exceptions to this unfortunate trend. They cut across the grain, didn’t dilly-dally, stepped up, and ran. Jane Swift, former Governor of Massachusetts, ran for State Senate (and won) at 25, and State Assemblywoman Nily Rozic made the leap from staffer to elected official at only 27. We also got the chance to hear the inside scoop about District Leader Jenifer Rajkumar’s race, not only at the age of 28, but against a 28 year incumbent. One of Veracity’s priorities is using digital-first strategies to break down barriers to running for office, from managing and navigating massive voter files to breaking social constructs and reaching a broader audience with a specific message. #WomenLead 2.0 brought together panelists that have been navigating these obstacles, and paving the road for a new generation of women leadership. We hope that by bringing together like-minded, civically engaged, empowered women, the strength exuded by the panelists is shared and spread among the crowd. It is this kind of proactivity and innovation that Veracity Media works to bolster and inspire in a civic space that’s in need of a new generation of leaders. With future #WomenLead events, we hope to continue to empower women to run for public office, and give them access to the experts and tools that can help them en route. Thanks to all those who came out and helped make the evening a great success. We were honored to be a part of this incredible evening of women in politics and power, and encouraged to see such a great turnout for gender equality in our political discourse. Public leadership is a journey, and often a challenging one, but we are dedicated to helping women succeed at every step and bringing their new, fresh outlooks into the political and civic arena. Shoutout to our Co-Sponsors! Republican Majority for Choice, Women's Information Network NYC (WIN_NYC), She Should Run, Emerge America, Rising Stars, Roosevelt Campus Network, Greater NYC for Change, Manhattan Young Democrats and the New American Leaders Project.